At the Schule für Gestaltung Bern und Biel, Salzhausstrasse. Our exhibition lastet from the 18th - 28th of April. Another landscape painting which is bigger than the ones before. I'm planning to start another one this size. My fox illustration in the Bieler Tagblatt from the 7th december. Here is my workspace for the Bildsprache Project. I work with oil on hardboard. I love to create moods and moments. Here's a little upload of the project I'm working on right now. 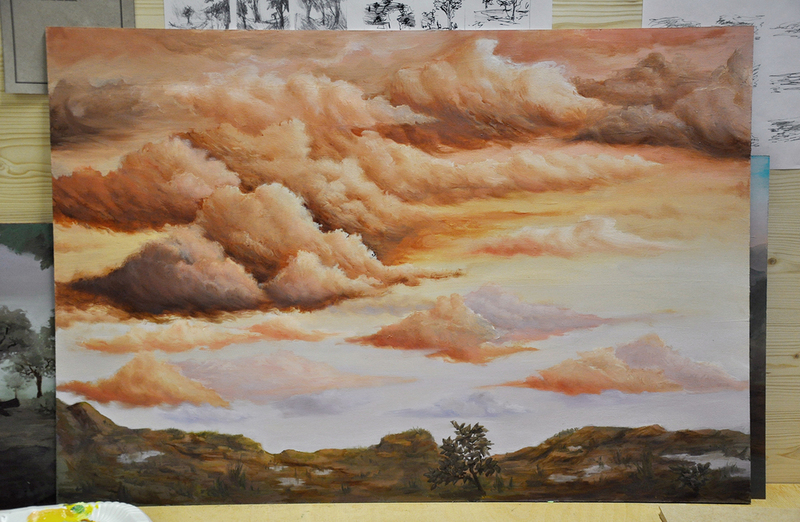 There are more weeks to go for more landscape painting.